YoYoFactory - Amazing performance and play at a great price! 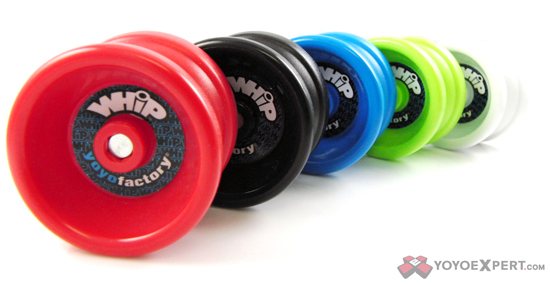 The YoYoFactory Whip fuses modern performance with classic responsive play. It comes fitted with a slim bearing and silicone pad response for tight binds, consistent throws, and long spins. It has a comfortable shape, a textured grinding surface, and at this price point the Whip is an excellent introductory yo-yo for any thrower!